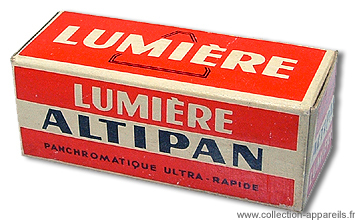 For Lumireflex, Lumière integrated a body coming from Atoms, on which homemade lenses were assembled. The body is made of bakelite, whereas usual construction at Atoms was made of metal (see Aiglon and Atoflex). The viewfinding is truly reflex, since the two lenses are coupled by external gear. The lens is Spector 4,5. This camera did not have any success. That added to its bakelite construction makes that it is rare. It dates from the 50s. 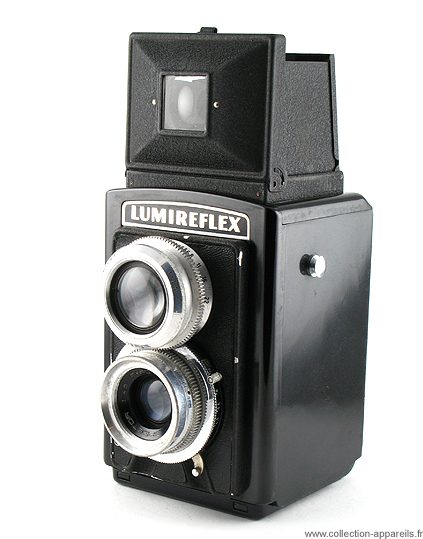 As an indication, Lumiflex launched in 1953.